Ready for back to school? I’m not, but this chic beanie in a neutral colour is the perfect fall accessory. Hats are a wonderful way to accessorize and make a statement, and when I saw this pattern I simply knew I had to hook this up. 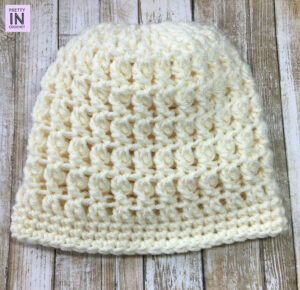 And I had just enough yarn on hand in a lovely cream to whip up this chic beanie project. It was as though the stars aligned; I had the pattern in one hand and the perfect yarn in the other. Since this doesn’t always happen I had to get started right away. Wondering where I got the pattern from? I won’t keep you in suspense any longer. 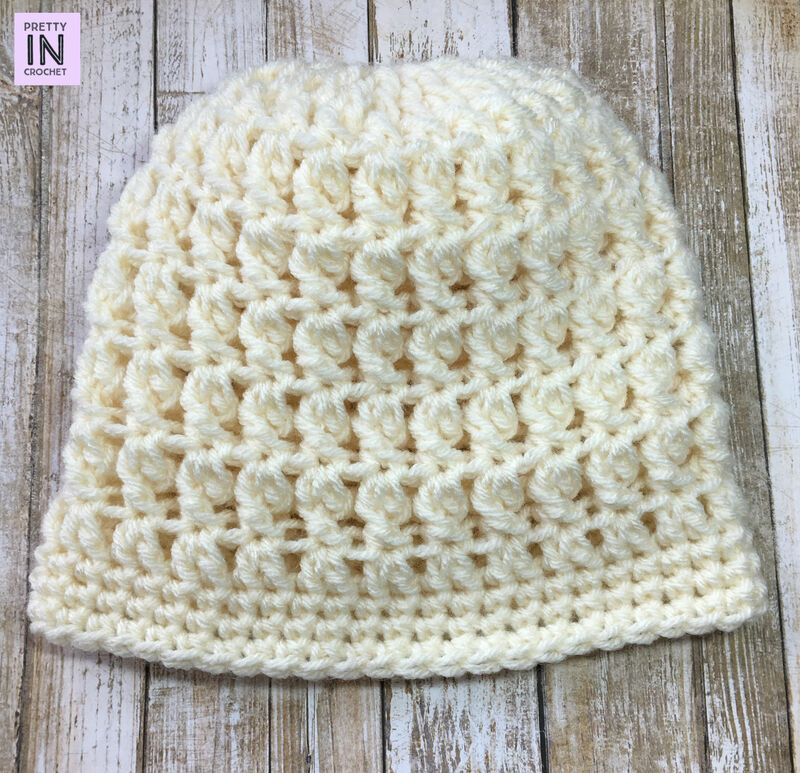 I found the pattern for this chic beanie at Rescued Paw Designs, and it was simply a dream. Krista calls her hat Dreaming of Winter, and I think it’s rather chic! The pattern is free, which is a bonus, so thank you Krista. The patterns on this site are easy to follow, which I love and I do check back to it from time to time to see what new patterns have been added. I did have to make some minor changes to the pattern however. Rather than the yarn the pattern suggested, which was Red Heart Soft in Off White, I used Lion’s Brand Vanna’s Choice in Beige. I had the Lion Brand yarn on hand so I just grabbed my 6.00mm hook and got to work. The other change I made was I only completed up to row 18, as I ran out of yarn. Seeing as I was only one row short, this hasn’t affected the overall look of the hat in my eyes. I am very pleased with how it turned out! Since learning how to work in the round, I have learned there are many ways to start your round. 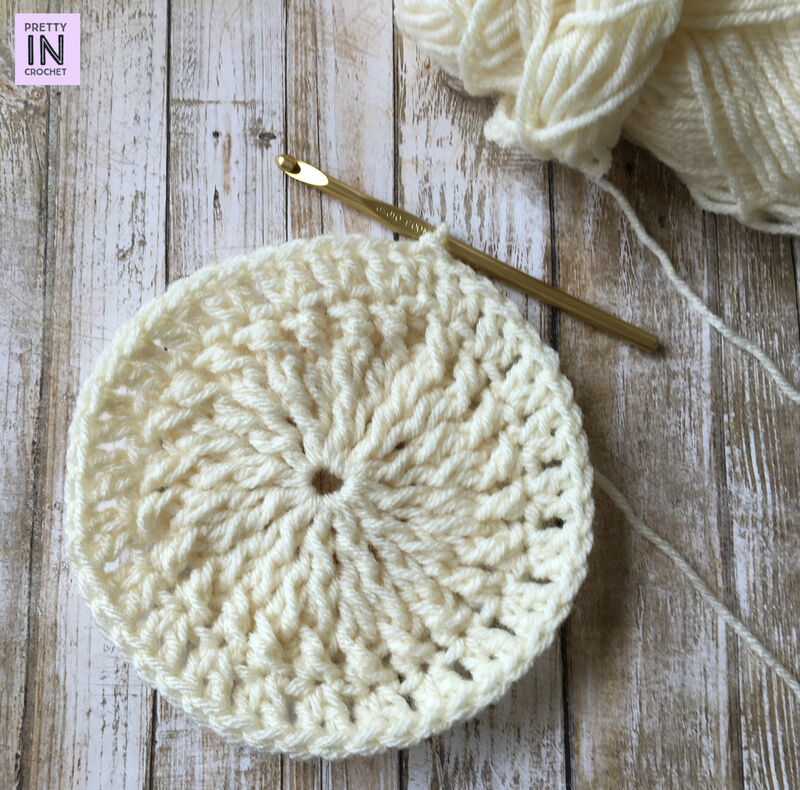 You can chain three or five and then slip stitch to create a ring, you can use a magic ring, or like Krista does in this pattern, you can chain three and then chain several stitches into the first chain. At first, this method seemed odd to me. 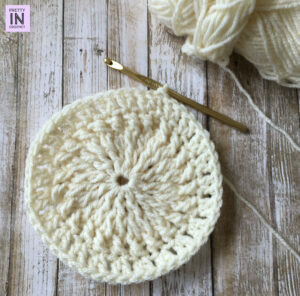 I remember giving up on patterns that used this way of working in the round, or to create corners in square pieces. I’ve since learned that like everything in life, there’s more than one way to get things done! Don’t be afraid of a new way of doing, even if it’s one you’re not familiar with; a new technique can open up doors in this craft. How do you work in the round? Let’s share our know how in the comments section! Cute hat! Are those crossed stitches? I usually use a magic ring because I like how it closes tight. Some patterns look better with a hole, of course, so the other ways come in handy, too. Yes, those are crossed stitches. Good eye! I like the magic ring best myself, but I was happy to learn a new way too.